Trollopiana Issue 77, July 2007. Available to members only. 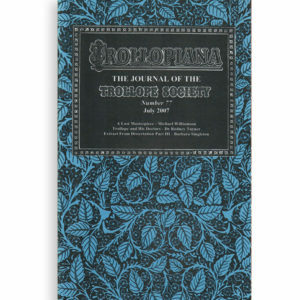 Trollopiana Issue 78, October 2007. Available to members only. 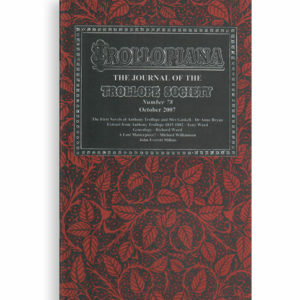 Trollopiana Issue 79, January 2008. Available to members only. 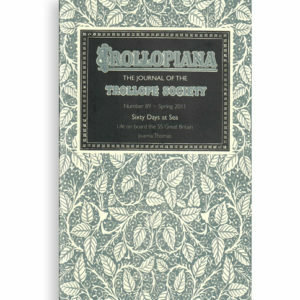 Trollopiana Issue 80, June 2008. Available to members only. Trollopiana Issue 81, October 2008. Available to members only. Trollopiana Issue 82, December 2008. Available to members only. Trollopiana Issue 83, Spring 2009. Available to members only. Trollopiana Issue 84, Autumn 2009. Available to members only. Trollopiana Issue 85, Winter 2009/2010. Available to members only. Trollopiana Issue 86, Summer 2010. Available to members only. Trollopiana Issue 87, Autumn 2010. Available to members only. Trollopiana Issue 88, Winter 2010/11. Available to members only. Trollopiana Issue 89, Spring 2011. Available to members only. Trollopiana Issue 90, Summer 2011. Available to members only. Trollopiana Issue 91, Winter 2011/12. Available to members only. 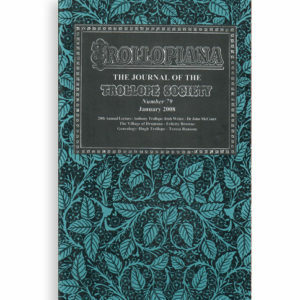 Trollopiana Issue 92, Summer 2012. Available to members only.